A woman undergoes 35 rounds of radiation after finding a growth inside her mouth, and loses all of her teeth. A father of four dies at 42 from heart disease. A young mother finds out her son contracted asthma from exposure to second-hand smoke – at just three years old. These are just three of millions of stories from people whose lives have been shattered by nicotine addiction. Tobacco-related disease remains the largest cause of preventable deaths in the world, with 7 million people dying from the epidemic every year. And even as the lifesaving measures of the global tobacco treaty begin to take root, the death toll continues to rise. At the root of this epidemic is the tobacco industry, which has profited richly from the only consumer product that kills half its users if used exactly as intended. And no corporation has done more to hook generations of teenagers on its deadly products, target people of color and low-income communities around the world, promote junk science to obscure the truth about tobacco, and subvert lifesaving public policy than Philip Morris International (PMI). Philip Morris International is a massive entity, selling its deadly products in 180 countries and banking just over $78 billion in revenue every year. 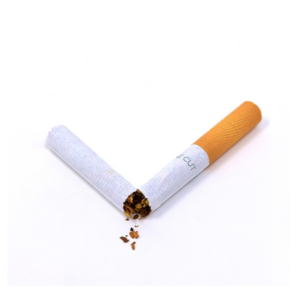 As lifesaving tobacco control policies have been implemented in Global North countries from prohibiting smoking in public places to marketing restrictions, PMI has expanded its focus abroad, blatantly targeting people of color in Global South countries with marketing tactics that are banned after the ratification and implementation of the global tobacco treaty. PMI has a track record of using its economic and political clout to delay, weaken, and undermine lifesaving tobacco control policies. Just last year, a Reuters investigation revealed hundreds of internal documents that exposed PMI’s deliberate campaign to interfere in meetings of the global tobacco treaty — from manipulating policy-makers to spreading misinformation. The corporation even set up its own operation in a hotel an hour away from the meeting venue, and whisked government delegates away from the negotiations in unmarked white vans to lobby them in secret. PMI’s profits have come at an overwhelming economic and human cost by targeting and addicting children. PMI hooks kids through a variety of tactics, like concert sponsorships and advertising near schools. A recent report found that from India to Indonesia, cigarette banners are visible from school playgrounds, and kiosks display tobacco products at the eye level of children, often next to candy and other kid-friendly items. Even as it drives addiction, death, and disease, PMI adds insult to injury by attempting to position itself as a part of the solution. Last year, PMI launched a new multi-billion-dollar PR scheme called the “Foundation for a Smoke-Free World.” Despite its claims to the contrary, it’s clear that this is nothing more than an expensive attempt to improve its image and regain a foothold in public health policymaking spaces worldwide. That’s why Corporate Accountability, the World Health Organization, and public health advocates and organizations across the globe have denounced this latest scheme and vowed to protect public health policy from PMI. For more than 20 years, Corporate Accountability, in partnership with the World Health Organization, allied organizations, and people like you around the globe, has organized to challenge Philip Morris International for the devastation it causes. Together, we have transformed the tobacco control landscape, stopped Big Tobacco in its tracks around the globe, and secured the global tobacco treaty—the world’s first public health and corporate accountability treaty. The treaty gives governments around the world the tools to isolate the industry from public health spaces by clearly establishing its irreconcilable conflict of interest with public health, and hold corporations like PMI legally liable for the devastation they’ve caused. Philip Morris International is feeling the heat and fighting back with all it’s got – from its attempts to undermine public health policy to its new phony foundation. But it’s no match for you and the movement of millions of people holding it accountable around the globe. Speak truth to power by casting your vote in the Corporate Hall of Shame today.